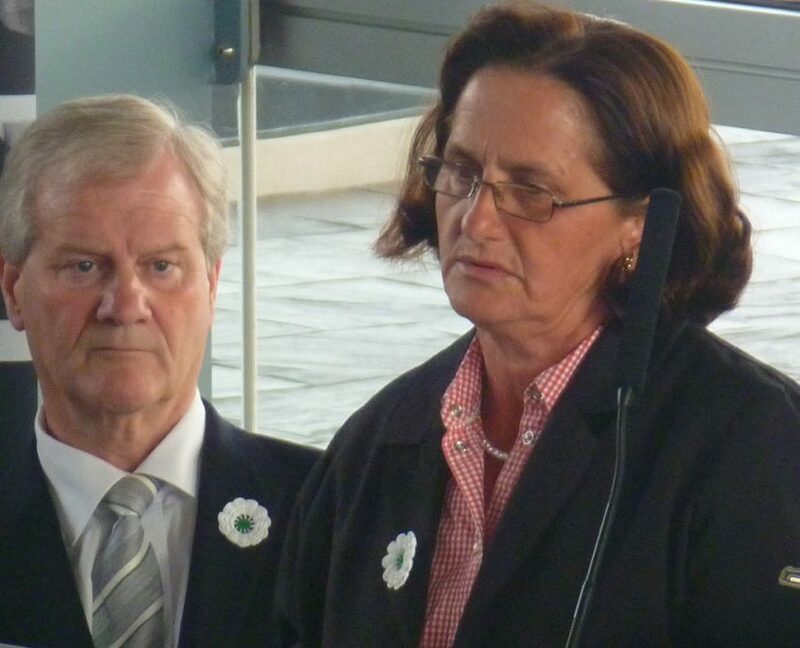 The commemorative event at the Senedd was organised by Remembering Srebrenica. It was one of three official commemoration events in the UK including Westminster Abbey, in London and St Giles’ Cathedral, in Edinburgh. Four Mothers of Srebrenica – who lost husbands, sons, fathers and brothers in the atrocity – and a genocide survivor took part in the event on Wednesday 8 July. Some 120 people from across communities in Wales gathered to listen to Mother Nura Begović – pictured above with Master of Ceremonies Howard Tucker – and survivor Nedžad Avdić speak about their moving and harrowing experiences of the genocide. “I, along with colleagues in the Assembly, were guests of Remembering Srebrenica in Bosnia in April where we heard harrowing first-hand accounts from survivors and the mothers of those killed,” said Deputy Presiding Officer, David Melding AM. The Deputy Presiding Officer led a delegation of AMs to Bosnia in April, where they laid a wreath at the Srebrenica-Potočari Memorial Centre. 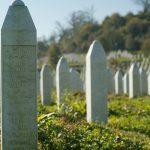 Dr Waqar Azmi OBE, Chairman of Remembering Srebrenica said: “This year is the 20th anniversary of the genocide that occurred in Srebrenica – the single greatest atrocity committed on European soil since the Second World War and a brutal reminder of man’s inhumanity to man.